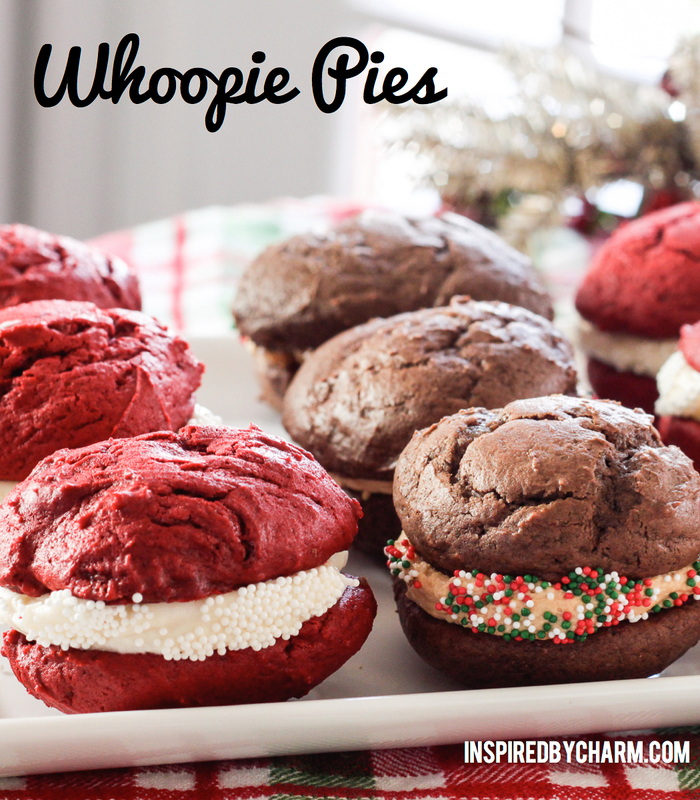 Welcome back to our Whoopie Pie adventure. If you are just joining us, you can click here for the recipe for Chocolate Whoopie Pies with Peanut Butter Frosting. Let’s kick this post off with the recipe! 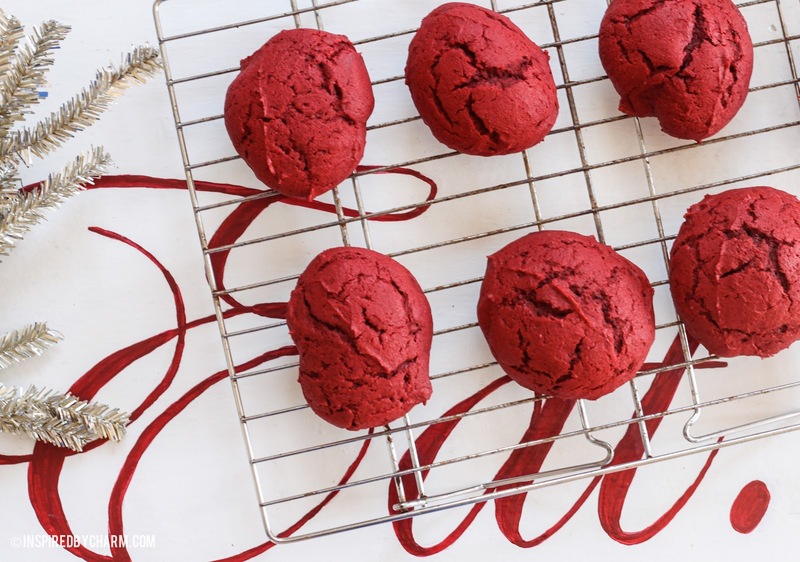 We’ll start with the red velvet cake rounds. Preheat oven to 350°F. Whisk together flour, cocoa, baking soda, and salt in a bowl until combined. Stir together buttermilk, vanilla, and red food coloring in a small bowl. Using an electric mixer at medium-high speed, beat together butter and brown sugar in a large bowl for about 3 minutes (or until pale and fluffy). Add the egg, beating until combined well. Reduce speed to low and alternately mix in flour mixture and buttermilk in batches, beginning and ending with flour. Scrape down side of bowl occasionally and mix until smooth. Spoon mounds of batter (about a tablespoon) two-inches apart on two buttered, large baking sheets. Bake 11 to 13 minutes. Cookies are done if they spring back when gently touched. Transfer with a metal spatula to a rack to cool completely. Place the confectioners’ sugar, cream cheese, butter and vanilla in the bowl of an electric mixer fitted with a paddle attachment. 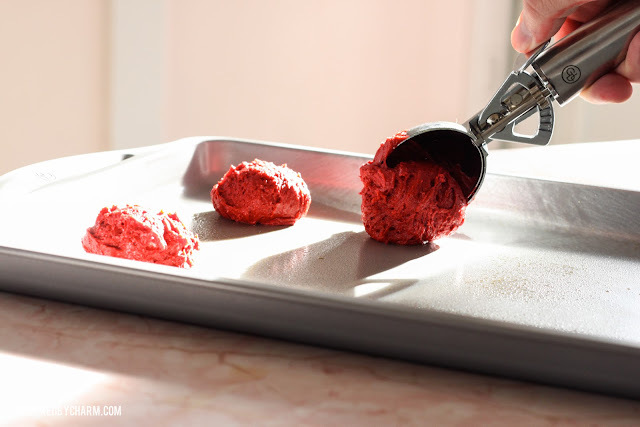 Mix on medium-low speed until creamy, scraping down the bowl with a rubber spatula as you work. Add a splash of milk or cream, if needed, for a smoother consistency. This is the easy part. 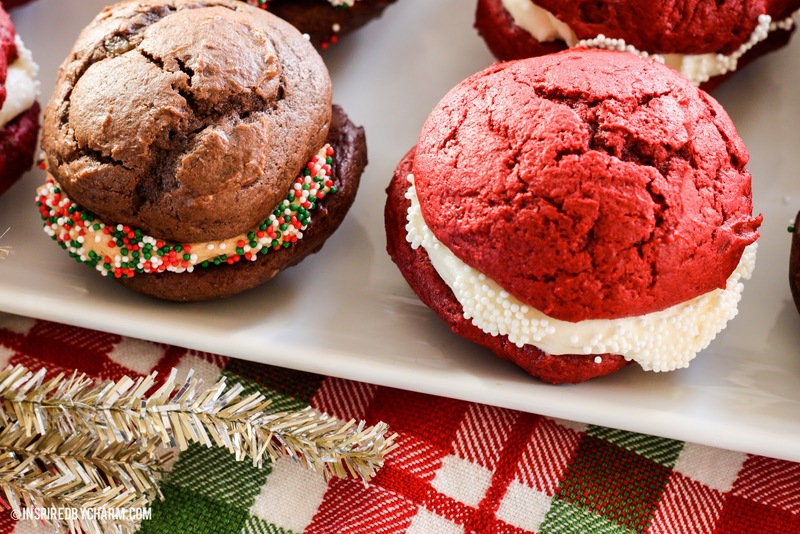 Using a spoon, dollop cream cheese frosting on flat sides of half the cookies. Top with remaining cookies, flat sides down. 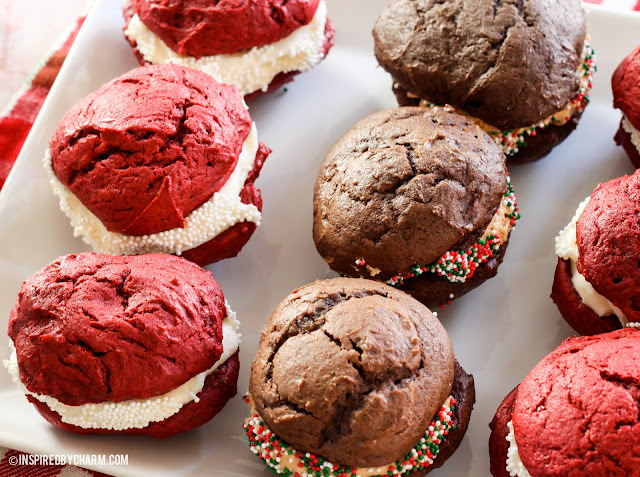 If you’d like, you can then roll the sides of your whoopie pies into sprinkles for a little added bling! As always, thank you for reading. Your comments are awesome and appreciated! Love your pins on Pinterest! I am having trouble finding the icon to register for the Giada cookware. Could you please advise. Michael, I have been all over your site searching for the way to enter the Giada Giveaway, but, alas, no luck. OMG these are gorgeous! I want to swim in that frosting. Thanks for the giveaway! I couldn’t get it to work. I waited but nothing happened. Great giveaway though. Hi Everyone! The rafflecopter widget will appear right below the picture of the the bakeware. Just give it a moment to load. Good luck! I could not get the widget to load with Internet Explorer 8, but it eventually worked when trying Google Chrome. Maybe some browsers (or certain versions of them) have difficulty with the widget? Waited 20 minutes for the widget to show up. Never did. Still love your site. Love the recipe! Thanks for sharing, and thanks for hosting the giveaway! So excited to try both recipes! Thanks again for sharing them! I give up….tried last night waiting on the rafflecopter and again this morning….the thing must be on vacation for Thanksgiving! Thanks for sharing the whoopie pies…great for snacks this weekend!!! Great post! 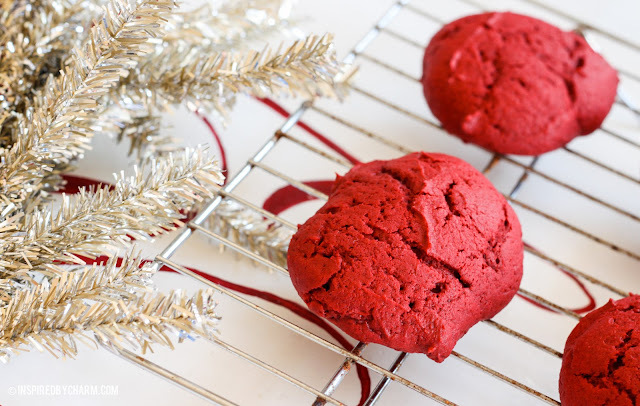 Can’t wait to try these for a cookie exchange I am attending!